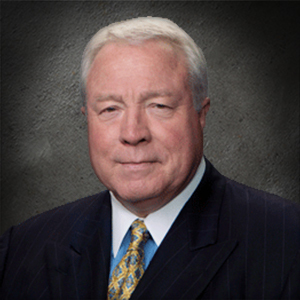 Jack Rains has long been recognized as a leader in Texas business. He consults with a number of high tech and other startup companies, developing growth strategies and plans for capital formation and related matters. After practicing law in Houston, Rains was a founder and, until January of 1987, Chairman of the Board of 3D/International (3D/I), the Houston headquartered design and construction management firm. During Rains’ tenure, 3D/I grew to enjoy an annual construction volume exceeding $1 billion dollars annually with projects and offices in 27 states and 12 foreign countries. He accepted the “E” Award from President Reagan in recognition of 3D/I boosting U.S. exports by more than 4 billion dollars. In 1993, Rains was a founder and director of Tanglewood Bank in Houston, which grew in its first ten years to exceed $200 million in assets, having made a profit in every quarter of operations since its first quarter. In 1995, Tanglewood Bank was sold to Northern Trust of Chicago. Rains has been active in civic affairs boosting business. He served on the boards and executive committees of the Houston Chamber of Commerce, the Greater Houston Convention and Visitors Council, Houston Advanced Research Center (HARC), Houston Economic Development Council, Houston World Trade Association and Texas Association of Taxpayers, 1990 Economic Summit of Industrialized Nations. Jack Rains was a member of the Board of Directors in 1990 and 1991 of the State of Texas, Department of Commerce. He currently serves as a member of the Board of the World Trade Division of the Greater Houston Partnership. He was a member of the Host Committee of the 1990 Economic Summit of Industrialized Nations. Jack Rains was a member of the Board of Directors in 1990 and 1991 of the State of Texas, Department of Commerce. He currently serves as a member of the Board of the World Trade Division of the Greater Houston Partnership. As Secretary of State of Texas, Rains led Trade Delegations, which resulted in over $2 billion in new investment commitments and thousands of new jobs for Texans. Rains also was the Founding Chairman of the Houston Job Training Partnership Council. He served on the District Export Council of the U.S. Department of Commerce and the University of Houston Task Force on International Business. He also served on the Task Force on International Business at Texas A&M University and has been a guest lecturer on business subjects at Baylor University, the University of Houston’s Colleges of Business and Law, Rice University’s Jones College of Business, and St. Thomas University. He has been honored as a Distinguished Alumnus of Texas A&M University. Rains has been published on various business subjects in Texas Business, The Houston Chronicle, The Houston Post, Journal of Commerce, Texas Business Executive, Texas A&M Business Forum, Baylor Law Review, Independent Banking, and the Texas Bar Journal of the State Bar of Texas. He received the “Champion of Free Enterprise Award” in 1983 from the Associated Builders and Contractors of Texas and the “InterAmerican Award” in 1987 from the InterAmerican Chamber of Commerce.